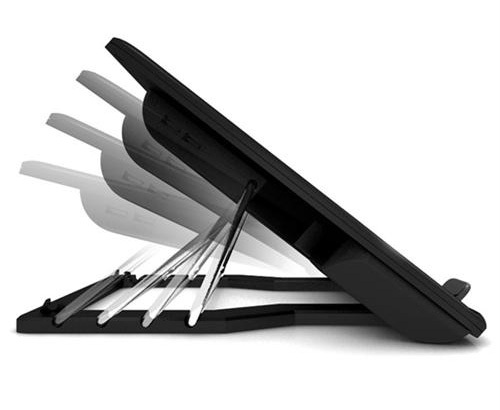 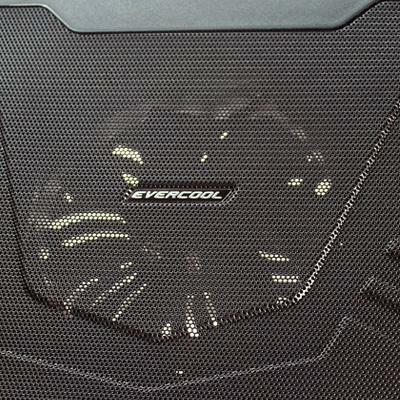 EverCool rolls out a new cooling pad to help you fighting against the summer heat, which also can acts as an adjustable stand. 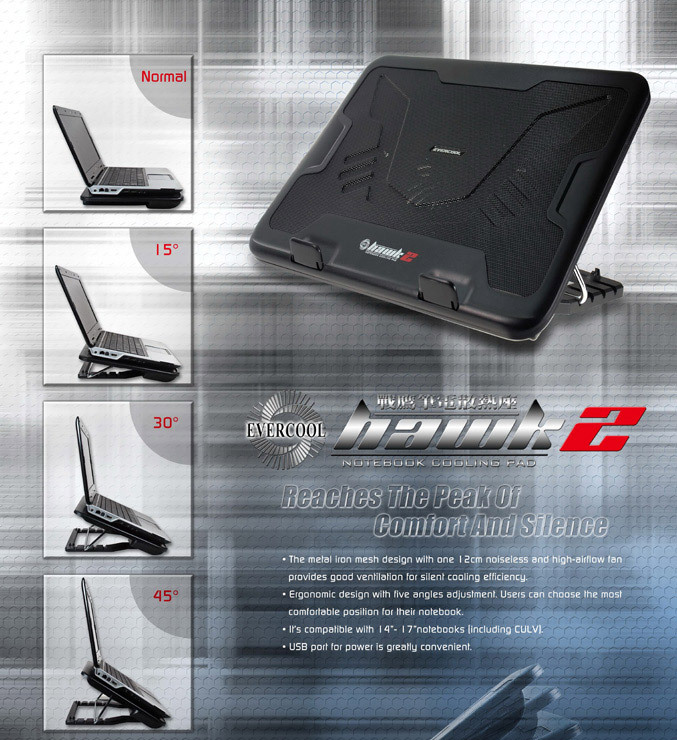 The USB-powered EverCool Hawk2 cooling pad has a metal mesh surface for better air convection and ventilation, and is equipped with a mechanism that allows mutli-angles adjustment for the most comfortable position of your laptop. 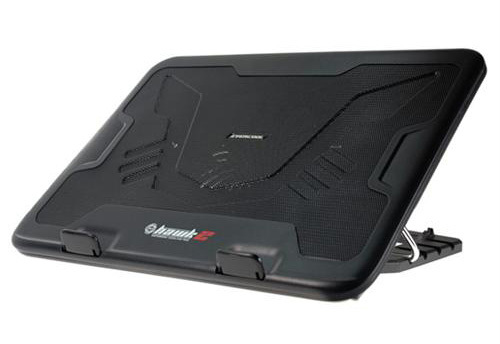 Measuring 360 x 265 x 38.4 mm and weighting 1kg, the cooling pad is appropriate for 12-inch to 17inch notebooks and is fitted with a 12cm “noiseless fan” that works at 1200 RPM.